Two 1920s housewives are left to their own devices whilst their husbands go golfing. What are they to do to amuse themselves? Discuss current affairs, sip Champagne, conspire to commit adultery? Spend a decadent evening with Julia and Jane as they weigh up the moral dilemma of rekindling a love affair with an old flame. Combine that with copious amounts of booze and you have a cocktail for disaster. This shamefully funny play is as relevant now as it was when it outraged audiences in 1925. 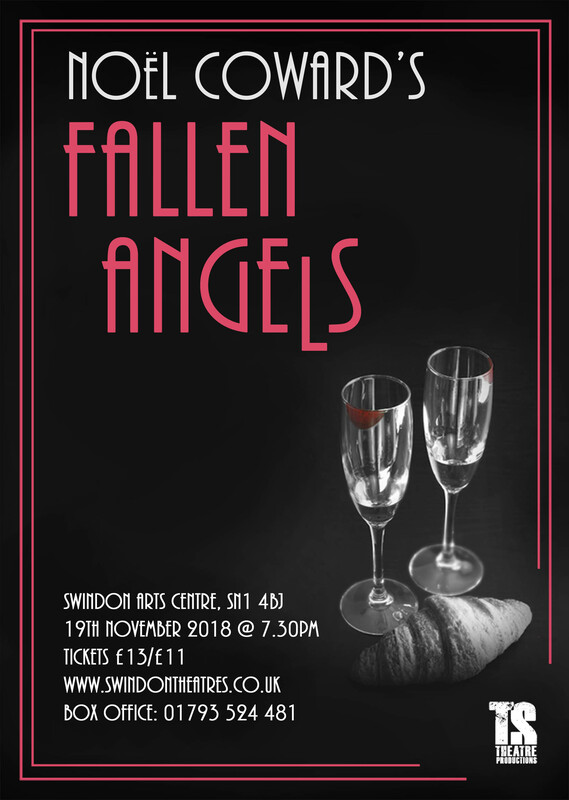 TS Theatre Productions, better known for staging contemporary performances, take on Noël Coward at his witty best in Fallen Angels.